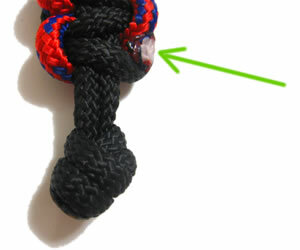 So I was messing around with some paracord last night, and all of a sudden my safety nazi sense tingled. While finishing off a side-release buckle bracelet, I was burning/melting the end of the paracord (as is common practice), and I wondered what kind of fumes I was breathing in. After a short investigation into what nylon gives off when burnt, I was surprised to learn there's a few nasties given off. Anyone familiar with these compounds will know that they're all pretty toxic, and are normally avoided as best as one can. That being said, I doubt that appreciable amounts of them are given off when melting paracord. However, continual exposure in an enclosed environment could have significant repercussions in the long term. So for those of you that deal with paracord on a regular basis, I would recommend melting it in a well ventilated area, possibly while wearing minimal personal protective equipment. As a rule of thumb, you shouldn't be able to smell the burning nylon.